Always eyed those Instagram stories of Delhi folk with the divine looking Cold Brew coffee from Sleepy Owl? You can get it delivered across the country now! This is like magic. 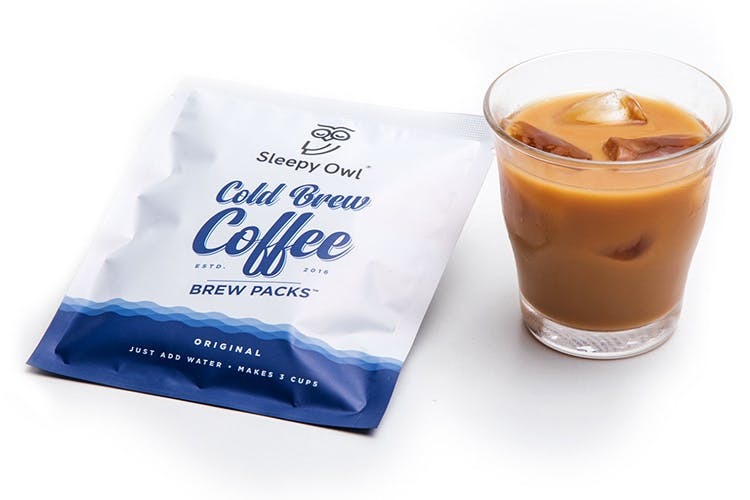 It’s a freshly brewed coffee, in a bag, and it’s perfect for summer (or any time you want a cold brew or iced coffee). Sleepy Owl's brew packs, that are available for delivery across India, are easy to use as well, thankfully. What? It’s tough to get the consistency perfect. And if you’re fussy about your coffee )and we all know South India is very picky), worry not. The pack is weighed, measured and all you need to do in pop one filter bag into a jug of water and leave it to brew for about 20 hours. Then voila, you’ll have about 500ml of freshly brewed coffee to throw some ice into and have a soothing cold brew to sip on. Of course, you kind souls who want to share, and easily fill two more cups too. Forget Do-It-Yourself coffee, this is brew-it-yourself coffee! We tried it out, and since we like the brew a bit stronger, all we did was plonk in another bag of the coffee, and a little bit more water so it wasn’t overpowering. With ice, a hint of sugar (if you need) and a tall mug, you’re sorted. If it’s too strong to begin with for you, feel free to add more water an lighten it up. Available in dark, light, and cinnamon roast, there's nothing like waking up to a cold coffee, that’s been brewed to perfection, without much effort on your part. They've launched brewkits as well, that make up to 18 cups of coffee at a time, reducing your effort, but maximising coffee consumption! Coffee Cravings? Sleepy Owl Could Be Your Bae!